One gift, lots of choices. Choosing a present for someone? Having trouble finding the perfect gift for your loved one? Let them choose! 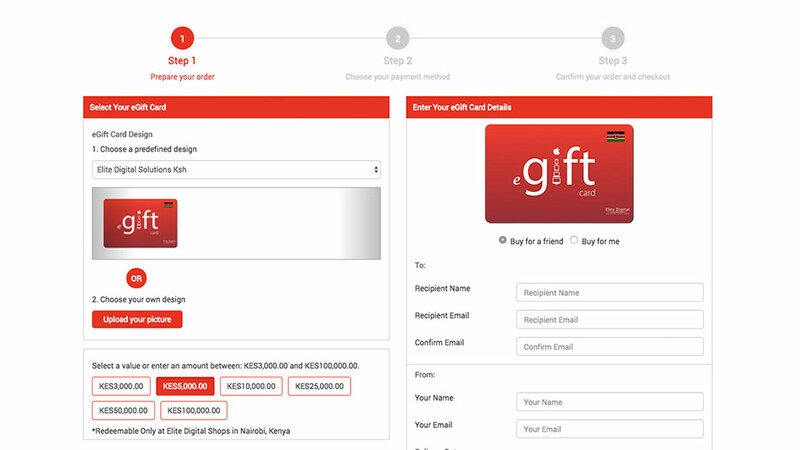 By purchasing the Elite Digital Gift Card, your loved one can select from our wide range of Apple products and accessories, for up to Ksh 100,000 per card! you can even add your personal message with our eGift-Card option. Gift cards can be used for various occasions such as Mother's Day, Christmas, Diwali, Birthdays ... the list goes on and on. 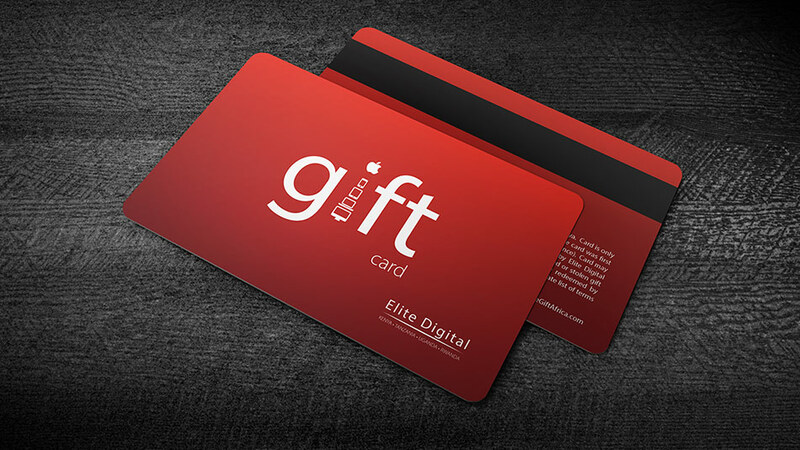 Beautiful, full-color, personalized eGift-Card redeemable at Elite Digital. How about a physical Gift-Card?